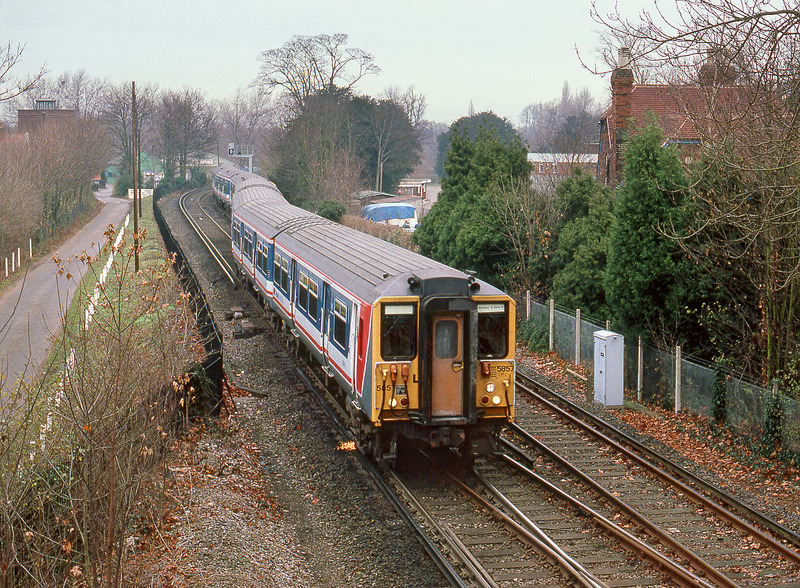 Class 455 5857 throws out a spark as it approaches Windsor & Eaton Riverside station with the 09:20 Network SouthEast service from Waterloo on 10 December 1989. A typically dull autumnal day, but at least the view here is reasonably open, which is not what it is like now. The tree growth has been astonishing here, and it summer it resembles a green tunnel!